Following the historic meeting between the two Koreas’ leaders on Friday morning at Panmunjeom, North Korea’s Kim Jong-un said something to South Korean President Moon Jae-in that caught the ears of many Koreans watching the conversation via television. The two heads of state met and exchanged handshakes charged with historical significance at the Military Demarcation Line at 9:30 a.m.
After a welcoming ceremony and walk to the meeting venue, the Peace House, the two leaders sat down for the summit’s morning session. In his preliminary greetings, Kim took a stab at casual and humorous conversation, commenting on lunch and dinner. “It was difficult, but we brought Pyongyang Naengmyeon with us. I hope President Moon Jae-in will enjoy it,” he said, referring to North Korean cold noodles that are popular in the South as well. 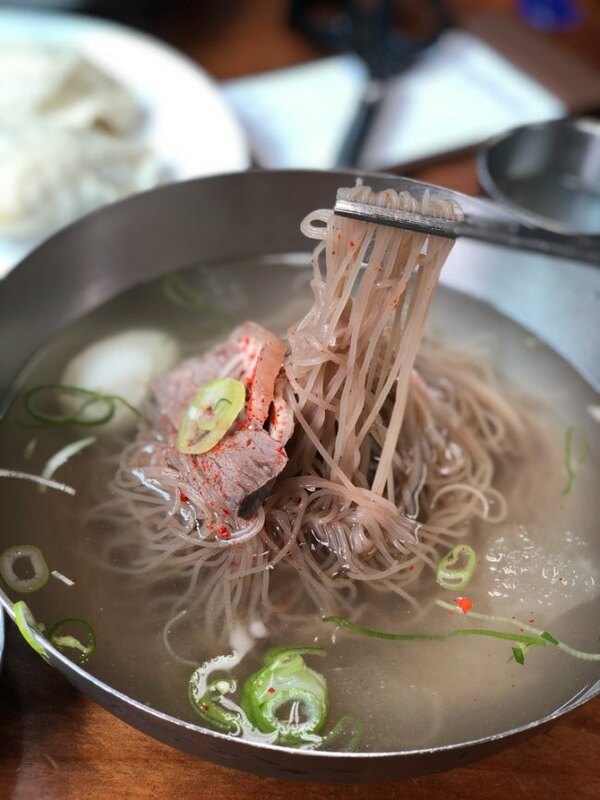 After the remark, made approximately at 10:15 a.m., #PyongyangNaengmyeon immediately began trending online among South Koreans. Many chose to eat the noodles for lunch today in a nod to the monumental event. 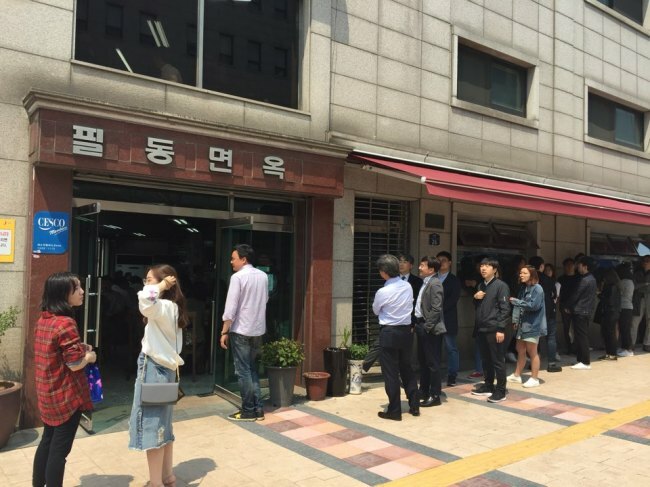 A long line of over 20 diners was spotted in front of Pildong Myeonok, a popular naengmyeon eatery in central Seoul. “What else could we have for lunch today?” said 29-year-old Yoo Jung-min, who works in advertising. 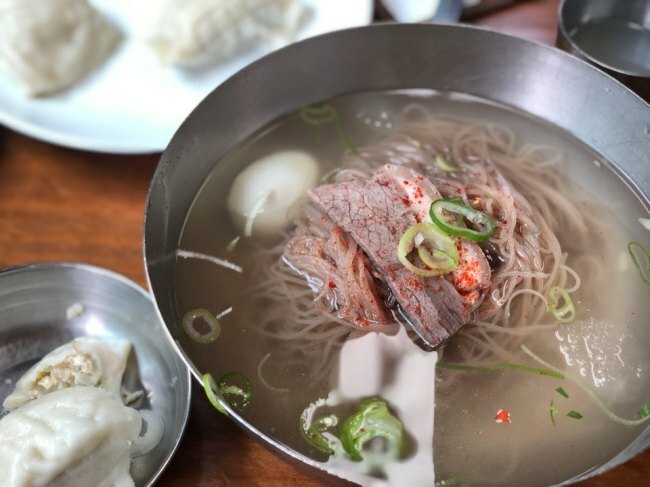 “I think naengmyeon restaurants around the country will be packed today,” said a Twitter user. South Korea has a reputation for its fast and around-the-clock food delivery services.